I’ve always been a lover of personalised items and when you become a parent this just expands even more. It can make a gift seem more personal, adding a special touch. When decorating bedrooms, it’s nice to add something that shows whose room it is. Making the child feel excited about their room. When I discovered Arty Apple I instantly loved the fabrics that Amy used, the items that she made and you can see straight away the love and care she has over what she makes. 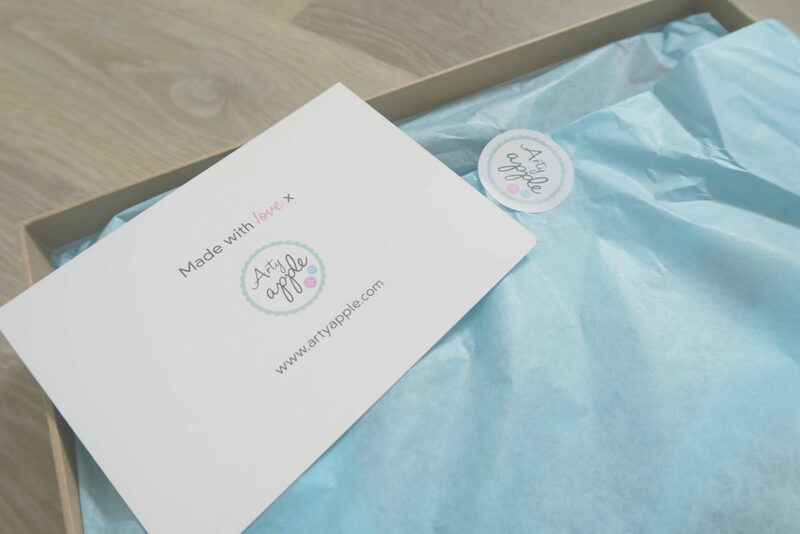 Amy is the lady behind Arty Apple, she is a mummy of two and makes all her products lovingly by hand. I wish I was more creative, her eye for detail and what matches it brilliant. The personalised service and attention to detail starts with the packaging that your items arrive in. Everything was carefully wrapped and placed in a sturdy cardboard box, ensuring nothing was damaged. My girls love to bake and I love to dress them in pretty clothes, which means that these two things don’t go together. 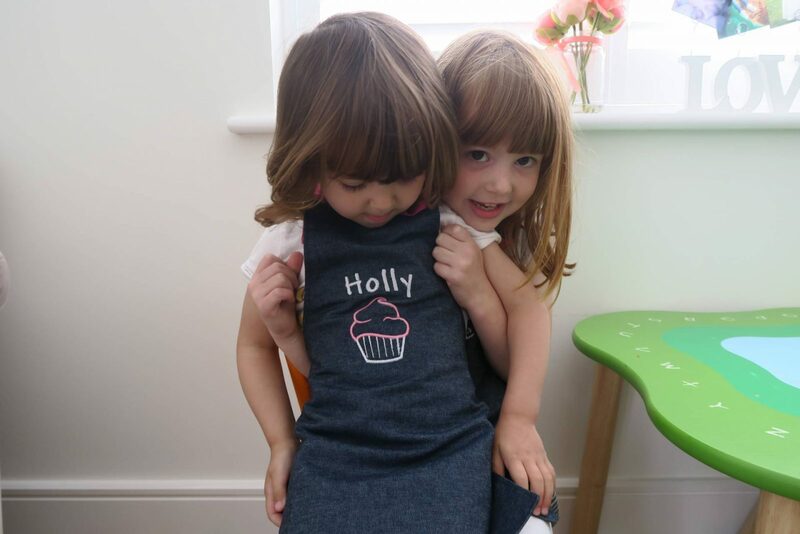 We were recently sent the most gorgeous personalised aprons, which solved this problem. I instantly loved the fabric which is like a deep denim colour with the bright pink straps, it was the perfect combination. They looked so striking and the fabric is really good quality and quite thick. Knowing that it will be long lasting. And of course it had what I love best! They were personalised with their names on and a cute cupcake design. So simple, but oh so beautiful. The girls loved them and couldn’t wait to wear them while we made some cookies. They were a good size on them and covered them well. Yes, they got them covered in flour, but they were easily cleaned and good as new in no time. 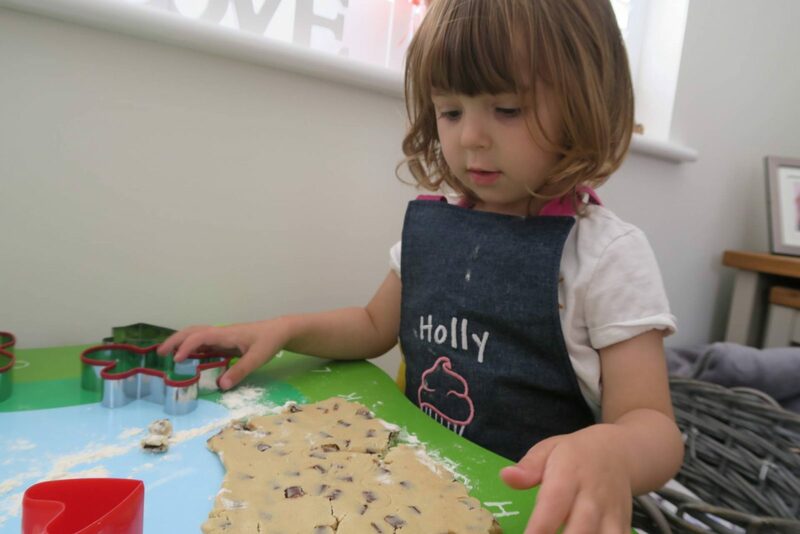 Holly loves her’s so much that she wears it when she is doing pretend cooking at her little kitchen, so cute. 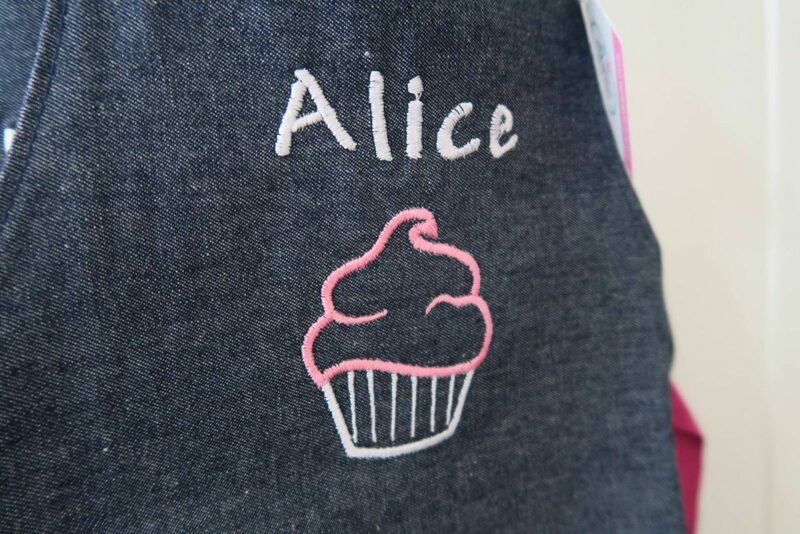 The personalised aprons come in either a cupcake or gingerbread man design, come in two sizes and start at £13. Since we moved house at Christmas I’ve slowly been doing the girls bedrooms. I really want them to both have a gallery wall in their rooms, as I think it’s a great way to bring a wall to life. I want to have a mixture of prints and photos of the girls. Arty Apple sent the girls these gorgeous personalised wall art for their rooms. 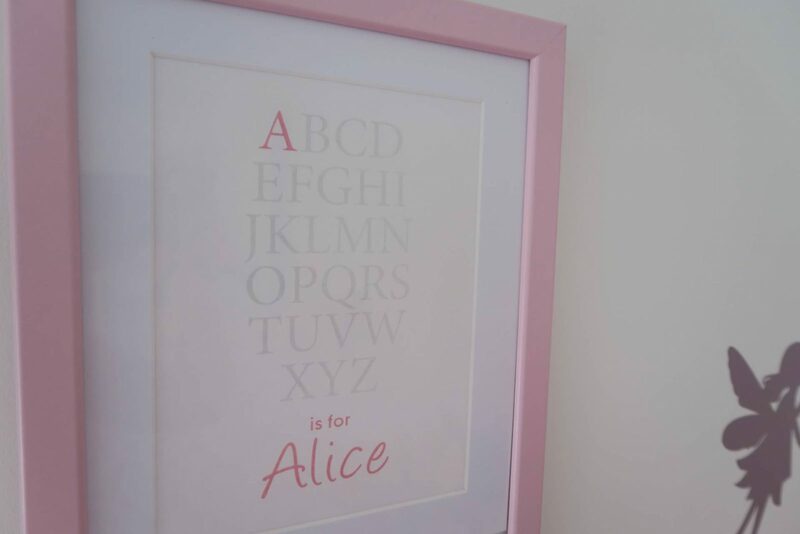 At the moment Alice is all about writing, learning how to spell and this print was perfect for her. She loves that it shows an ‘A’ for Alice in pink of course! I brought some lovely pink frames for the prints to go in which work perfectly in their rooms. The print was again great quality and sturdy. I love how it looks on the wall and I just need to add a few more photos and Alice’s wall is done. 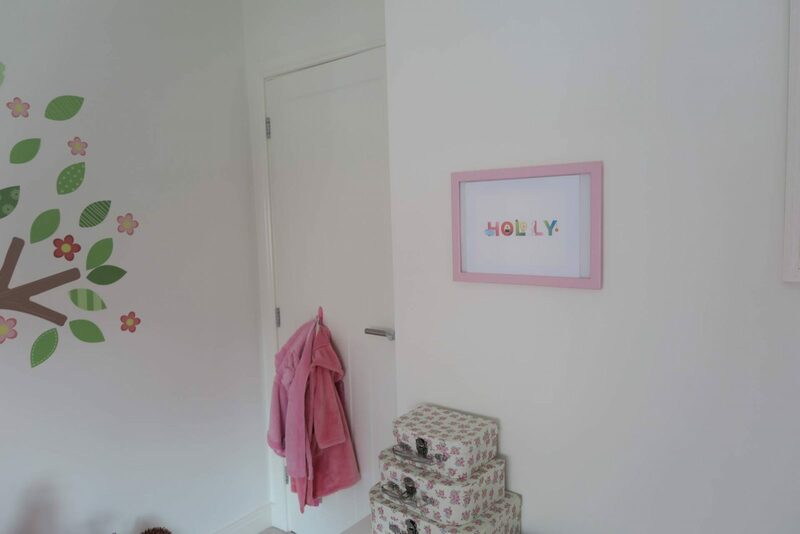 Holly’s room is animal themed and her print is the perfect addition to her room. She loves to see the animals on it and we’ve been learning which each animal is. 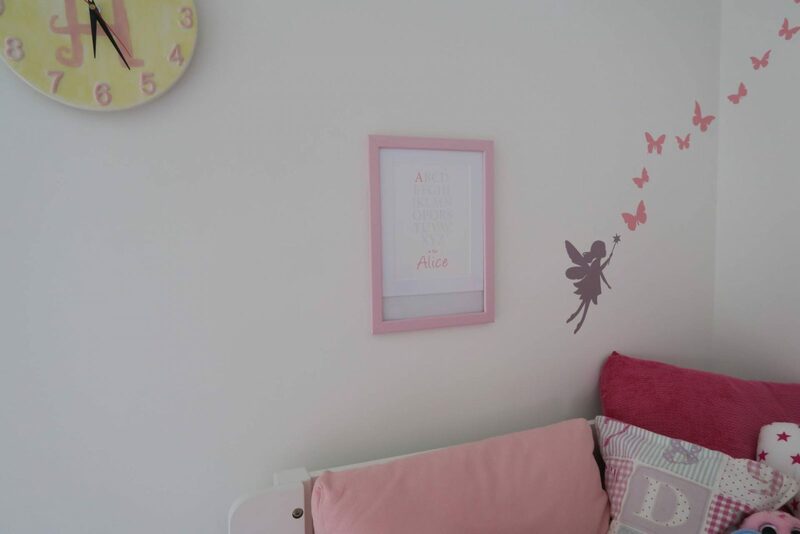 The bright colours really make this print stand out on her wall, I love it. Both these personalised wall art are priced at £7.50 and there are more designs available. Arty Apple have so many great personalised products, in addition to what you’ve seen here they have personalised bunting, taggie blankets, teddies and lots more. Disclosure: We were kindly sent our products in return for an honest review. All views and opinions are my own. 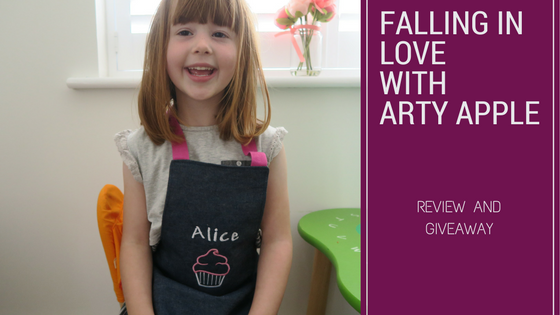 We love Arty Apple too, our aprons are still going strong after lots of wear! Oh I LOVE these!! They look fab and the girls look so happy with them! 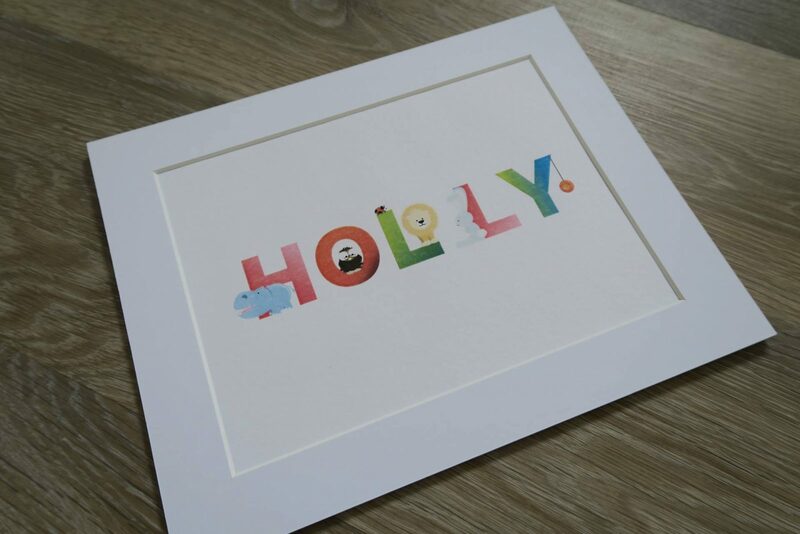 I love those framed prints too, they are so lovely for their bedrooms. We would love to win them, my kids love anything with their names on! 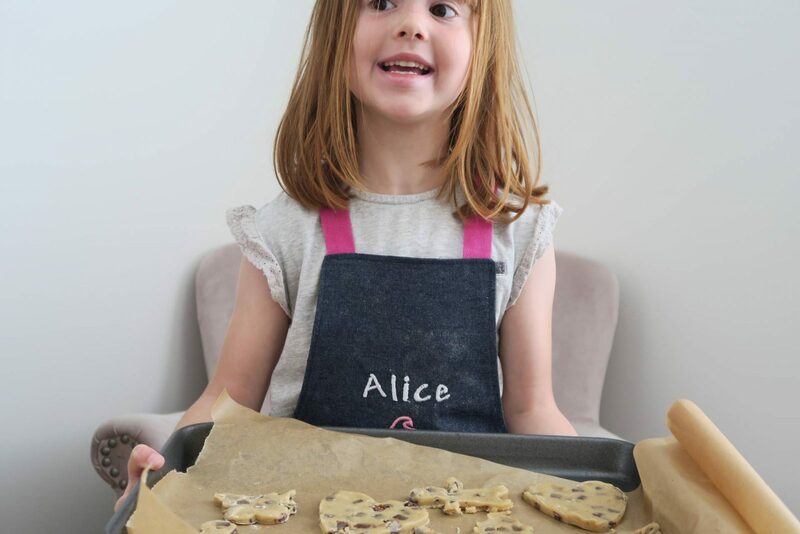 These look fab – my girls love baking so I am tempted to get them these as a little Summer treat. I also love the wall art, I am in the process of decorating Alfie’s bedroom so I will pop over and see what they have for him. Love to win this for my little cousin Amelia!